Yes, you read it right, that's bison and ale stew. After my recent and tentative dabble into the world of unusual meats via Allens of Mayfair, I decided to give bison a go. I 'd read on their website that bison was recommended as a healthier alternative to stewing beef, being leaner and lower in fat (it's 97% fat free, actually). It also apparently contains antioxidants that lower blood pressure, so it's definitely a healthier red meat than, say, beef or lamb. The website also advised on cooking it slowly, so I went for a good old ale stew, which I could leave to bubble and simmer gently all afternoon. I basically just substituted diced bison steak for the beef in my Steak and Ale Casserole recipe but left out the worcestershire sauce. You get the bison in a 350g pack which we found was plenty for us - two adults and two young children - with mash and veg. The bison meat didn't break down as much in the stew as sometimes beef does. Sometimes stewed beef - and lamb - goes a bit stringy if it's cooked for just that little bit too long. The bison really held firmly together and wasn't stringy at all. The flavour was similar to beef, but had a slight 'game' flavour and tasted a little bit sweeter than beef. 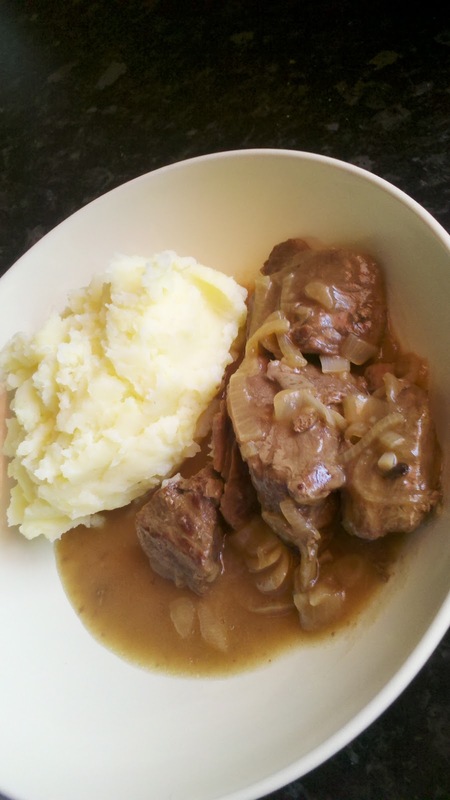 We liked it, and the stew really did feel a lot less fatty and healthier than it usually does.